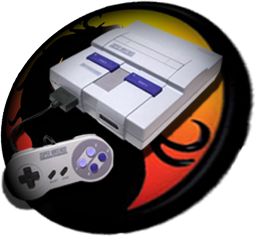 If yes, then you should read ded_'s opinion on the topic in the latest (11th) issue of our Kombat Kolumns: Mortal Kombat Games For SNES. During the last 20 weeks we received some positive and of course some negative feedback for which we are grateful. We only hope that you enjoyed the last 9 issues at least as much as we enjoyed making them. Now, lets take a look at the newest issue. 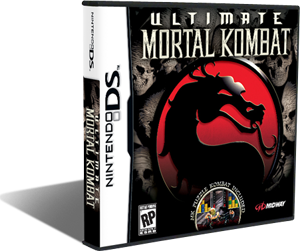 Today we are going to review the one and currently only Mortal Kombat game on the Nintendo DS, Ultimate Mortal Kombat. We would love if you decide to share your opinion on the Kombat Kolumns section and all the articles that it currently has. In our desire to always improve our website, we decided that it is time to update our online store. We are saying goodbye to our legacy store and are replacing it with Amazon's A-Store in order to provide a lot better service for you, our visitors. As part of the update we also decided to permanently shut down the UK, German and Canadian stores and only focus on the US one. So this stores will no longer be available. Click here to visit our new online store and don't forget that every purchase supports this site. London August 21st 2009 - London-based Midway Games Ltd. and Midway Games SAS (Paris) will from now on be operating under the names Tradewest Games Ltd. and Tradewest Games SAS. Martin Spiess, who previously was responsible for the European publishing and distribution arm of the international game publisher Midway Games Inc. from 2005 onwards as Executive Vice President - International, recently acquired ownership of the UK and French offices of Midway Games Inc. as part of a management buyout. During his time at Midway Spiess significantly expanded the company's European business. Most recently, Midway's European publishing and distribution operations contributed close to 40 % of Midway's worldwide business. Spiess is considered to be one of the most experienced managers in the European games industry. In addition to Midway's UK and French offices Spiess has also acquired the rights to the Tradewest brand. This is a brand representative of tradition, a name under which a well-known North American game publisher operated between 1986 and 1994. In 1994 Tradewest's business was taken over by WMS Industries (the then-proprietor of the Midway and Williams brands) and became Williams Entertainment Inc., which was then renamed Midway Home Entertainment Inc. in 1996. Over the following thirteen years Midway, whose parent was listed on the US New York Stock Exchange, moved on to become one of the leading developers and providers of computer and video games in the world. We are very glad to have acquired the rights to such an internationally well-known brand of such tradition in the gaming industry, said Martin Spiess. Under the name Tradewest Games we will as of now be acting as a European full service provider in the fields of game distribution and publishing. We have access to a wide-reaching global network of game developers and international partners from all relevant areas of the games industry. First and foremost, however, there's a well-experienced European team behind Tradewest Games that has proven its expertise and know-how in the past years by bringing to market some of the biggest games projects in the world. Tradewest Games is a full-service provider for the international games industry. Tradewest Games consists of a European team of games industry professionals and benefits from a wide-reaching network to leading creative agencies, developers, manufacturing companies and proven service providers from all relevant sectors of the games industry. Tradewest Games offices are located in London, UK, and Paris, France. London August 20th, 2009 Midway Games Ltd., formerly a subsidiary of Midway Games Inc., today announced that Spiess Media Holding UG, a company owned by Martin Spiess, Executive Vice President - International of Midway Games Ltd., has purchased the UK and French offices of Midway Games Inc., formerly a developer and publisher of computer and video games with a rich tradition, as part of a management buyout. F & F Publishing GmbH, a company owned by Uwe Färstenberg, General Manager of Midway Games GmbH, and Hans Meyer, Finance Director of Midway Games GmbH, has purchased the German office of the Midway group. Through the transactions, the European publishing and distribution branches of Midway are secured in all three key European markets. Both Spiess and Färstenberg will be leading their newly acquired companies as interactive entertainment distribution and publishing service providers. Plans are also underway to form a strategic alliance and use the combined forces of the European organisations as an efficient European network. We are very pleased that the European management team has come together to purchase Midway™s European organisation, commented Matthew Booty, chairman, CEO and president of US-based Midway Games Inc. Our European publishing and distribution business had consistently grown year-on-year under the leadership of Martin Spiess.  These European operations are comprised of a strong network of developers and publishers from around the globe and are based around an excellent team that has proven its expertise and know-how in game production. The European branch of Midway had been a significant contributor to the worldwide Midway organisation. Most recently, the European arm had contributed almost 40% of Midway's worldwide revenues, said Martin Spiess. We very much look forward to the challenge of participating in the growing key European markets as a streamlined, powerful, and independent full-service videogames distribution and publishing business.